1. Open the trunk and remove the cover. 2. 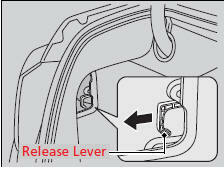 Pull the release lever toward you. 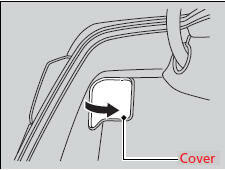 - The release lever unlocks the fuel fill door when it is pulled.